The Sims 4 is one of the most popular games of the time, and if you are one of those who are not already playing the game, you might be interested in trying it for free for 48 hours. You do not undertake to purchase the game subsequently and do not enter any bank details. The game is downloaded easily and quickly and is compatible with both Windows and Mac. Once the 48 hour trial period is complete, you decide for yourself whether you want to buy the game. As you know it from the previous Sims games, in The Sims 4, you need to create your own Sims, and then steer their lives in exactly the direction you want. You can tailor the Sims you want to your family - not just their looks, but also their personality. Which type of each Sim should be, is entirely up to you. You choose their skills, what their ambitions in life are and what hobbies they should have. It is up to you whether you want to make a single Sim, and follow this closely through life, or whether you want to make a whole family or even a whole city. Everything is up to you, and so you can create yourself and your own life in The Sims 4, or take it in the opposite direction, trying out some of your inner dreams in this simulated world. There is total freedom in The Sims 4, and the possibilities have become even greater than in previous installations of the game series. Of course, you also decide which environment your Sims will be thrown into. As in previous Sims games, you can modify and modify the environment and the Sims accommodation. You can build your dream home, or play realistically and let the Sims start at the bottom of the Sims world hierarchy, and through their family, work and hobbies see them rise in the ranks. In the Sims 4 there is a completely unprecedented level of detail and you can have hours to go exploring the world and change it to just the world your imagination can create. 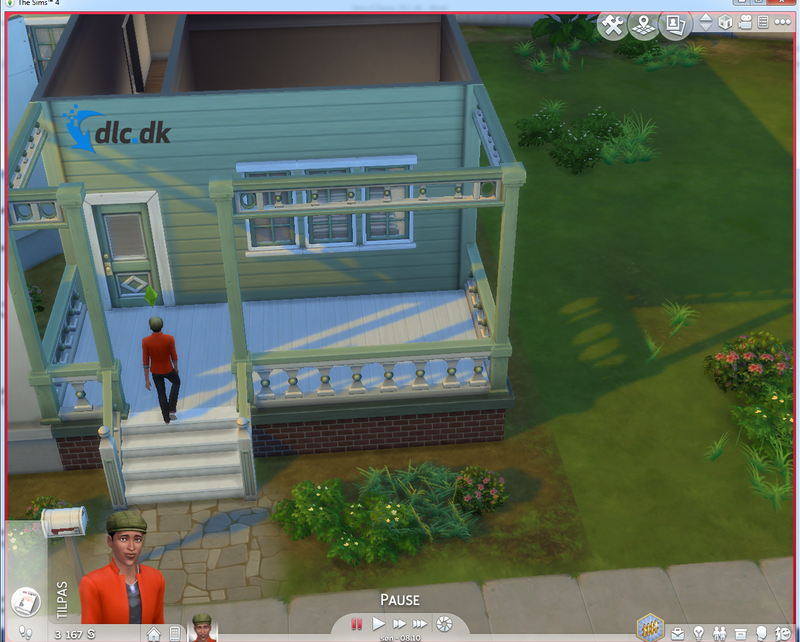 You can control your Sims from birth to the door and live the life you want through them. You can travel the Sims world around with your Sims and experience the world's crazy ideas that game developers have created. The huge Sims universe has been further developed ever since the first game in the series was released in February 2000. The huge success that the game has since met has also meant that the game developers have taken many of the actions that the users have over the years brought along. The game's fanbase draws everyone from kids to the elderly, and so it is with all the users in mind that the Sims 4 has been created. There is something for everyone if you want to start a family or live as a bachelor. The game has become much more intelligent than the previous versions in the series have been. Many of the annoyances you have previously encountered in Sims 1, 2 and 3 have the game developers averted in the latest installation. The actions and interactions of the Sims are much more contemplated in the Sims 4 than in the previous games, and so it also gives you the opportunity to focus elsewhere, and sometimes your Sims take care of themselves if they want. It therefore feels less like this time to look after a number of brainless animation figures, and more like controlling rational beings who can think for themselves if needed. If you'd like to try your hand at Sims 4 for a 48-hour trial, tap the download at the bottom of the page. 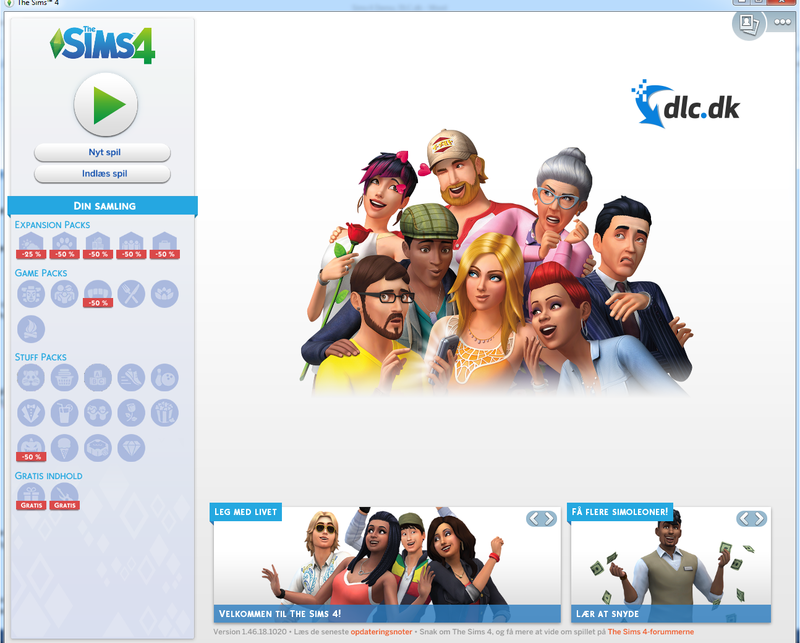 When you download the download here, you will be taken to Origins The Sims 4-page. Here you simply select the option "Try it first" and then create yourself as shown below. Then, go into the "My Game Library" where you select The Sims 4 Trial, and then download the Origin software, then download The Sims 4 Trial. After this, it is of course up to you whether you want to buy the full game after the 48-hour trial period. 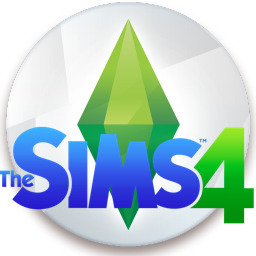 Sims 4 works on both Mac and Windows operating systems. You can therefore download both games through your Origin accountone for your Windows computer and then download it to a Mac if you switch between the two operating systems. 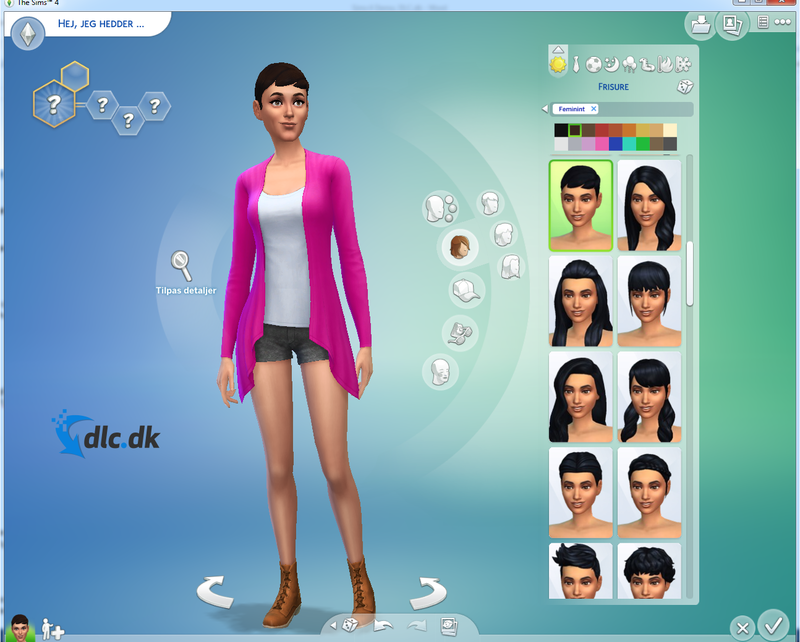 The game linked to this site is, as mentioned, a demo version of Sims 4. If you want the full game, you need to buy the game through EA's game software Origin. It costs 349 DKK and you find the game by clicking right here. If you are instead interested in trying out the previous installation in the series of Sims games, you can also buy Sims 3. This is done like with Sims 4 also through Origin. 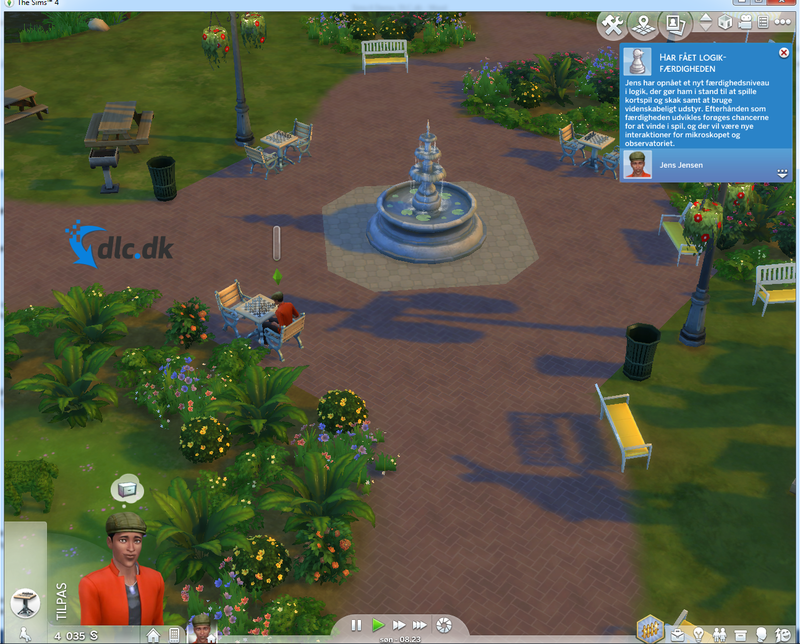 Sims 3 costs 249 DKK and you find Sims 3 by clicking right here. You have the opportunity to play The Sims 4 for free for 48 hours, and then it is up to you to buy the full game. You do not bind yourself to anything and you do not enter any bank details. On the other hand, you get access to all the game's facets and can explore the myriad details and possibilities the game possesses. The game is easy and quick to download as shown above, and you can play it on both Mac and Windows. The Sims 4 is the latest game in The Sims game series, and therefore also the one that has the most to offer. You can customize your Sim as you like and create the world you want them to live in. The game is created with the many fans of the series in mind, and it is therefore very easy to navigate and can served by everyone. In addition, as mentioned, it is only your imagination that limits the game. Once the 48 hour trial period is complete, you can purchase the full game by clicking here. Find The Sims 4, mark it and choose "Uninstall"
Should The Sims 4 has been damaged or corrupted and thereby difficult to remove we can recommend you finding help to uninstall it here.